Lease agreements in Thailand is a commonly used instrument and is more specifically referred to as a “hire of property” under the Civil and Commercial Code of Thailand. By definition, it is a contract whereby a person called the lessor agrees to let another person called the hirer or lessee to use or obtain benefit of a property for a limited period of time whereby the hirer agrees to pay the rent for such use or benefit. No because the laws of Thailand do not permit foreigners from acquiring real estate properties outright, lease agreements between Thai nationals and foreigners of these real estate properties have become popular in Thailand. Nevertheless, it must be borne in mind that there are things to remember before concluding a Lease Contract. Hence, before you even consider entering into a lease agreement you should remember the following tips before entering into lease agreements in Thailand. Formalities Required: The Civil and Commercial Code of Thailand states that lease agreement involving immovable properties must be in writing and must be signed by the parties. Also, if the lease is more than three (3) years or for the lifetime of either the lessor or the lessee, the following conditions must be met: a) it must be in writing, b) the Thai Chanote or the Title Deed must be attached and c) requires registration with the competent official, otherwise it will not be valid. Duration of the Lease Agreement: Generally, a Contract of Lease is valid only for a period of 30 years. No longer period is allowed. However, the parties are permitted to renew the lease agreement subject to the approval of the competent official and requires re-registration. There is, however, no guarantee that the renewal will be approved. 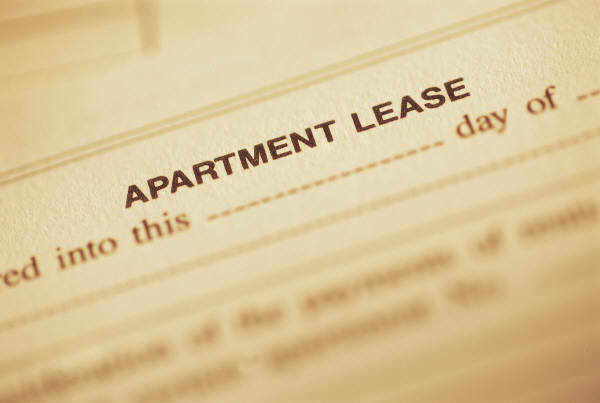 Sublease Permit: the lessee is only permitted to sublease the property subject of the lease agreement if the same is allowed or stated in their contract, otherwise, the lessee cannot sublet or sublease the property, neither may they transfer their rights over the property leased. Transferability of the rights to the lease to heirs: Should the lessee die during the term of the lease, the remaining term of the lease agreement will not pass automatically to the lessee’s heir. The transfer of this right is generally subject to the agreement of the parties. The transfer of the right to the leased property is subject to the requirement that the same shall be registered with the land office department of Thailand. Hence, the remaining period of lease in the name of the heirs must be registered. Extinguishment of the Lease Contract: At the end of the agreed period of the lease, the contract shall be extinguished without notice to the parties. However, if there is no period agreed by the parties, either party may terminate the contract at the end of each payment provided that notice of at least one rent period is given, but no more than two months notice need be given. Second: Check all terms in the contract before signing a lease agreement. Clarify the terms if you must. Make sure that the terms are explained to you clearly. Make sure that the conditions of the property subject of the lease contract embodied in the agreement exist at the time of the conclusion of the lease agreement. This includes ocular inspection of the site if necessary in order to check that the property you want to lease is in good condition. The agreement should also contain provisions for the payment of expenses at the end of the lease. Third. Contact a property lawyer. 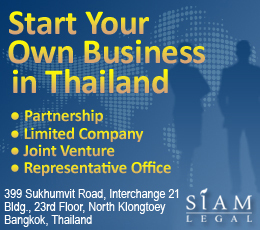 A Thailand lawyer will help you with all the requirements before you can enter into contract of lease. It is beneficial to engage the services of a lawyer before entering into a lease contract because of language and legal technicalities involved with lease agreements.